Fueled by continued hot, dry and windy conditions, a wildfire burning near Tok more than doubled in size on Wednesday. The Taixtsalda Hill Fire (#357) is now estimated at 12,000 acres, an increase of more than 7,000 acres since late Tuesday night. 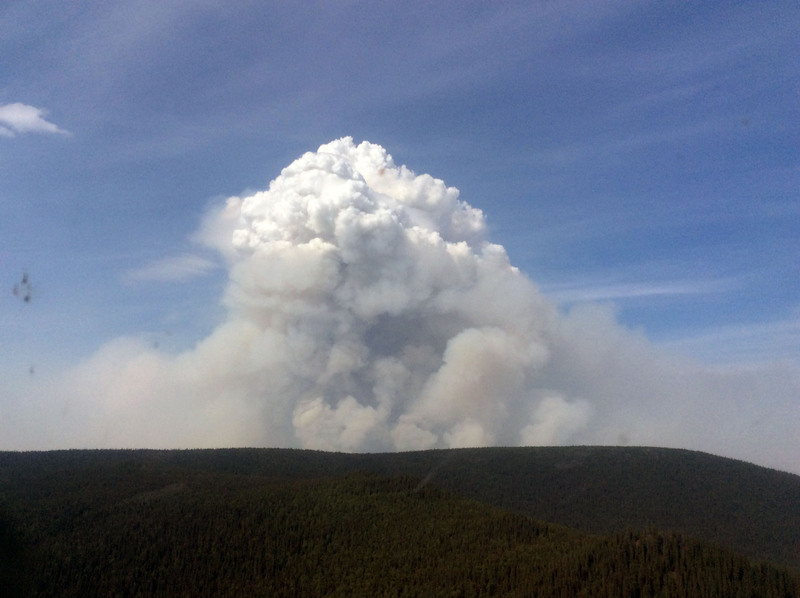 The fire, which started on Monday, is burning about 38 miles southeast of Tok and 14 miles southwest of the village of Northway. The cause of the fire is unknown and is under investigation. 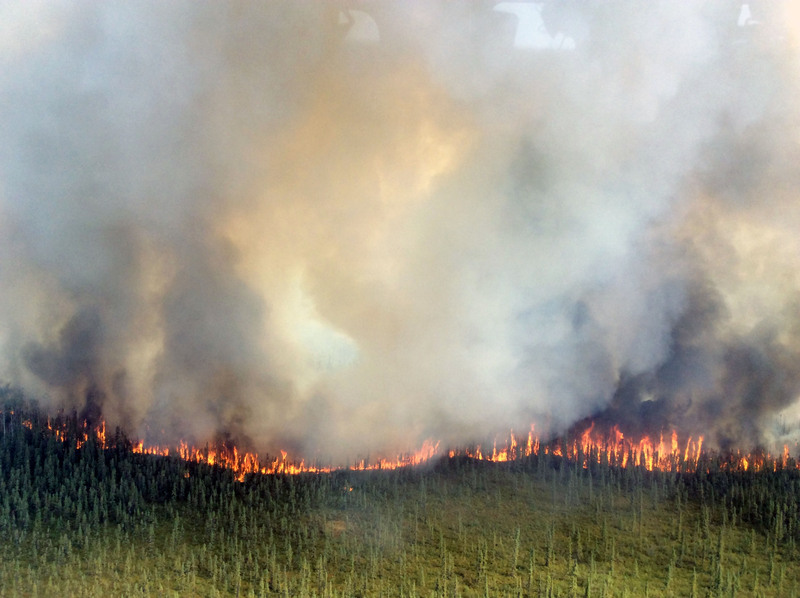 Alaska Division of Forestry fire managers initially were employing a full suppression strategy in hopes of containing the fire but modified that plan on Tuesday afternoon when fire behavior intensified and direct suppression tactics were deemed unsafe for firefighters. There are currently 89 personnel working on the fire, including four Type 2 hand crews. The fire is burning in a full protection management area on Tetlin Village Corporation lands with black spruce being the primary fuel source. Fire managers continue to assess what values are threatened by the fire, such as Native allotments and cabins, and are developing a plan to protect them. The closest Native allotment is about 3 miles east of the fire and there is a U.S. Fish and Wildlife Service cabin approximately 6 miles southeast of the fire. On Wednesday, crews were shuttled into two allotments and the USFWS cabin by helicopter to begin cutting saw line and setting up hose, pumps and sprinklers in the event the fire reaches them. A fourth Type 2 crew, the Mooseheart Mountain Crew, arrived on the fire late in the day and will be shuttled out to the allotments today. Fire managers are also formulating a plan for a possible strategic firing operation around allotments to remove fuels, if weather conditions allow. While weather over the fire was cooler and cloudier Thursday morning, conditions are expected to remain warm and dry through the weekend, which will likely result in continued fire growth to the south, east and west. The smoke column from the fire is visible from the villages of Northway and Tetlin, as well as the Alaska Highway, but smoke is not impacting the highway. The fire is roughly 20 miles west of the highway.